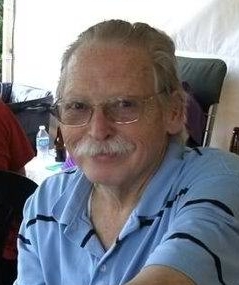 Larry M. Alleman, 63, of Warren, PA. died Monday, April 23, 2012 in Hollywood, FL. He was born January 29, 1949 in Brookville, PA. to the late Lester and Faye Robertson Alleman. He has resided in Warren, PA. most of his life. Larry was a 1967 graduate of Brookville High School, Brookville, PA. He had been employed with Accurite Corporation of Jamestown, N.Y. as a computer systems operator and had previously been employed with Blair Corporation. He was a member of the Loyal Order of the Moose Lodge 109. He is survived by his 2 children – Fr. Timothy Alleman and his wife, Karie, of Luzerne, PA. Shawna Alleman – Thompson, PA. 1 Grandson – Cristan Alleman of Thompson, PA., Longtime Friend and Companion, Mary Briggs of Warren, PA. 1 Niece – Faith Baker and husband, Chuck of Jamestown, N.Y. In addition to his parents, he was preceded in death by an infant brother, Leonard M. Alleman, brother, Leland M. Alleman, 1 Sister – Lois Yauger, former wife, Carol Flynn Alleman. Friends may call at the Donald E. Lewis Funeral Home, Inc., 304 East Street, Warren, PA. on Friday from 2 to 4 and 6 to 8 P.M. where a funeral and committal service will be conducted Saturday at 11:00 AM. Interment will be in Ohl Cemetery, Summerville, PA. Those wishing to place memorials may do so through the Loyal Order of the Moose Lodge 109, 422 Pennsylvania Avenue West, Warren, Pa. 16365. E-mail condolences may be made by visiting www.lewisfuneralhomeinc.com.